This past Tuesday, subsequent to the New York Senate’s re-population by a Democrat majority, Gov. 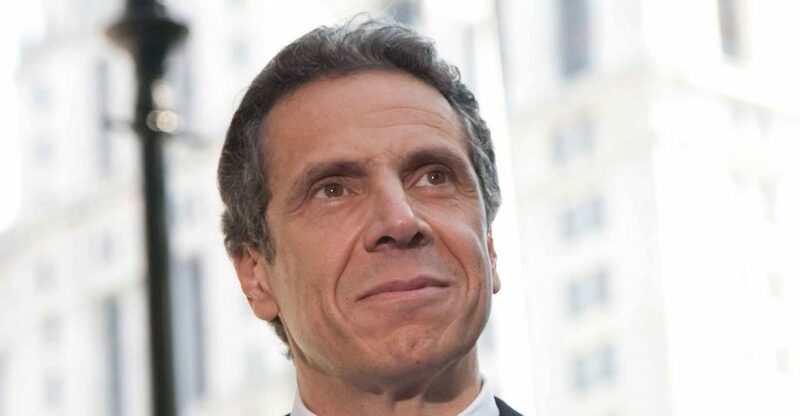 Andrew Cuomo signed into law the Reproductive Health Act: one of the most radically anti-life, pro-abortion pieces of legislation ever initiated in the U.S. As Todd Aglialoro noted, this legislation essentially denies the personhood of pre-born children, restricting it only to post-birth individuals. If they’re not persons, so the malicious logic goes, what’s wrong with dissolving them alive with chemicals, sucking them piece-by-piece from their mother’s wombs, or ripping them limb-from-limb and head-from-body moments prior to their natural birth? If they’re not human persons, they’re merely a lump of biological tissue. And this evil is boldly trumpeted by Cuomo as human progress. Once these non-human and non-person tissue masses pass through a woman’s birth canal into the outside world, they are instantaneously transformed by some unseen, inexplicable, magical force into persons worthy of protection and life—a life to be lived out under the dark, oppressive brutality of the culture of death atmosphere Cuomo so loves and vows to perpetuate for the “freedom” and “good” of all. These bills that ad “gender expression and identity as protected classes in the state’s human rights and hate crimes laws, have been priorities for the LGBTQ community. The bills were blocked by Republicans when the GOP controlled the state Senate,” writes Robert Harding of auburnpub.com. As Pope St. John Paul II noted, when the right to life is attacked, all other human rights are jeopardized. That includes, of course, the right to free-speech and the right to uphold human dignity as opposed to fostering its debasement and destruction. This sad, diabolical situation is linked to a widespread Catholic identity crisis. When individual Catholics lose a sense of who they are, their history, beliefs, Tradition, and Who they belong to—including their religious practices, traditions, rituals, and sense of faith—they soon find their sense of authentic morality fractured. It becomes fragmented, polluted by secular humanist values that are often linked to the support and promotion of intrinsic evils. Andrew Cuomo seems to be carrying on the tradition of his father, Mario Cuomo, albeit in bolder fashion. And there’s hardly any doubt that Mario Cuomo suffered from a compromised Catholic identity. I speak here as a politician. 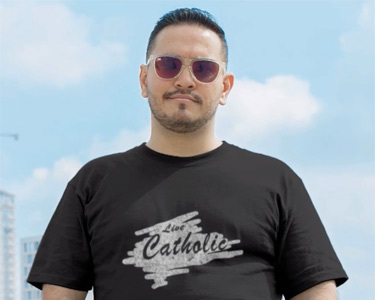 And also as a Catholic, a lay person baptized and raised in the pre-Vatican II Church, educated in Catholic schools, attached to the Church first by birth, then by choice, now by love. An old-fashioned Catholic who sins, regrets, struggles, worries, gets confused and most of the time feels better after confession. The Catholic Church is my spiritual home. My heart is there, and my hope. There is, of course, more to being a Catholic than a sense of spiritual and emotional resonance. Catholicism is a religion of the head as well as the heart, and to be a Catholic is to say “I believe” to the essential core of dogmas that distinguishes our faith. There are other places in his speech where he makes praiseworthy points. An example is found in the way he insists that living a morally authentic, charitable Catholic and Christian life is the best remedy against abortions. He challenges Catholics to make use of “weapons of the word and of love,” for which no “statute” is needed to provide. However, there are soon obvious hints of problematic attitudes, philosophies, and dissent. The first red flag pops when he adroitly suggests that one can be Catholic while voting for and supporting political candidates who promote anti-life principles such as legalized abortion—this is incorrect because it is not morally legitimate to give voting support to such politicians without a proportionate reason for doing so. Bear in mind, proportionate reasons exclude matters of prudential judgment. One is not allowed to give the nod to an anti-life, pro-abortion candidate merely because what he or she says about the economy or Social Security seems promising. Cuomo then equates freedom of religion with the freedom to choose to kill unborn children, as if each are rights that must be upheld in order to guard against attacks on human freedom. That correlation is totally wrongheaded. Freedom of religion is an authentic good that must be protected; whereas deliberately choosing to directly kill children is an intrinsic evil that must be prohibited. It’s murder. No right-thinking person would say that both murder and freedom of religion are morally praiseworthy activities. Yet that is indeed where Cuomo seems to be going—although he expresses his personal opposition to abortion, a slight-of-hand trick commonly used in today’s political shuffle, whether by politicians or others. 1. Cuomo insists that morality is created by public consensus; not as laws recognizable by reason, embedded in human nature by the Creator. He thus promotes a morality of Man over and against morality founded on Eternal and Divine Law. Ultimately, his philosophy dissolves morality and absolute moral norms. It’s relativistic not realistic. 2. He argues that legislating against abortion would be a violation of the separation of church and state, and thus the same as imposing one’s religious beliefs on others. Again, this is relativistic, political-speak nonsense. One’s opposition to abortion is not a religious belief per se, it is a moral principle based on reason and the natural law. Nobody needs to be taught that killing children is wrong. Although God and his divine revelation concerning this matter are certainly important, man can discern that destroying innocent children is flat-out evil without having to resort to a particular religious belief. Further, the separation of church and state has nothing whatsoever to do with refusing to outlaw murder. 3. Mario Cuomo next identifies support for a pro-abortion politician as a matter of prudential judgment. Something which, again, is false. There is an essential difference between abortion, which is an intrinsic evil (always and everywhere a violation of the moral law regardless of one’s intention), and a particular foreign trade policy (a matter of prudential judgment), a topic on which Catholics can hold a variety of legitimate and even diverse opinions. The errors go on and on. All carefully crafted to sound reasonable and totally inline with Church teaching. From Cuomo’s “American-Catholic tradition of political realism” to his notion that laws against abortion would be “‘Prohibition’ revisited, legislating what couldn’t be enforced and in the process creating a disrespect for law in general,” his speech is rife with specious distinctions, correlations, and misinterpretations. But here’s the gist of the whole thing: in the end, Cuomo makes it clear that, while he agrees with Church teaching on abortion, he will not seek to protect pre-born children under the positive law. It would simply be too messy, too controversial, too polarizing. The Catholic Church has come of age in America. The ghetto walls are gone, our religion no longer a badge of irredeemable foreignness. This new-found status is both an opportunity and a temptation. If we choose, we can give in to the temptation to become more and more assimilated into a larger, blander culture, abandoning the practice of the specific values that made us different, worshipping whatever gods the marketplace has to sell while we seek to rationalize our own laxity by urging the political system to legislate on others a morality we no longer practice ourselves. Or we can remember where we come from, the journey of two millennia, clinging to our personal faith, to its insistence on constancy and service and on hope. We can live and practice the morality Christ gave us, maintaining His truth in this world, struggling to embody His love, practicing it especially where that love is most needed, among the poor and the weak and the dispossessed. Not just by trying to make laws for others to live by, but by living the laws already written for us by God, in our hearts and in our minds. We can be fully Catholic; proudly, totally at ease with ourselves, a people in the world, transforming it, a light to this nation. Appealing to the best in our people not the worst. Persuading not coercing. Leading people to truth by love. And still, all the while, respecting and enjoying our unique pluralistic democracy. And we can do it even as politicians. In other words, he’s pulling the Kennedy Option. He will not allow his Catholic beliefs and the teaching of the Church—what is true and good and in conformity with reality—to inform his political decisions. He will operate as a secularized albeit skillful politician, mindful of keeping the peace, carefully limiting his religious beliefs to the personal and individual sphere so as not to interfere with the “moral consensus” of the day. Meanwhile, the unborn continue to die by the millions. In 1983, the year Mario Cuomo became governor, 154,712 children were aborted. That number equals 62% of infants born alive. New York was killing more children that it was birthing. In 1994, Cuomo’s last year in office, there were 149,598 abortions. During his eleven years as governor, 1.85 million children were intentionally and directly killed. The wrongfulness of their deaths is not a matter of public debate or prudential judgment. It is a consequence of the legalization of an intrinsic evil. It is dark. It is Satanic. It is aligned with the work of the devil, the father of lies and the destroyer of life and peace. Thankfully, since about 2012, the number of abortions in New York have decreased slightly. In 2016, 82,189 abortions were reported. With Gov. Andrew Cuomo’s recent legislation of the Reproductive Health Act, it could nevertheless be the case that the total number of abortions may remain the same or even decrease. I pray for that. If Catholics will continue to provide sound teaching on the intrinsic evil of abortion, with its gravely damaging effects not only to children but to parents, society and the common good, perhaps those numbers will continue to decline. However, last Tuesday was indeed a diabolical day for New York. Although the total number of abortions may continue to subside, there will no doubt be many children who will suffer terrifying, brutal and painful deaths at the hands of physicians—the very men and women who are sworn to promote life, health and healing, not end it. There’s still hope. Nourish and promote a strong Catholic identity. As Archbishop Chaput once remarked, if the 67 million Catholics in America would really live and defend the faith and moral teaching of the Church, our nation would be unrecognizable. Millions upon millions of children may have survived. America would indeed be a better place. A nation in support of life, from conception to natural death. That is precisely why each and every Catholic must always strive to increase their faith, form their conscience properly, and promote a strong and vibrant Catholic identity. In doing so, we really can change things. Photo Credit: Pat Arnow [CC BY-SA 2.0 (https://creativecommons.org/licenses/by-sa/2.0)], via Wikimedia Commons.